DetroitSound5: Reimagining the Blue Bird Inn from Detroit Sound Conservancy on Vimeo. We are very grateful to The Kresge Foundation for believing in our sonic vision for The Blue Bird neighborhood and community. The planning begins now thanks to their support. 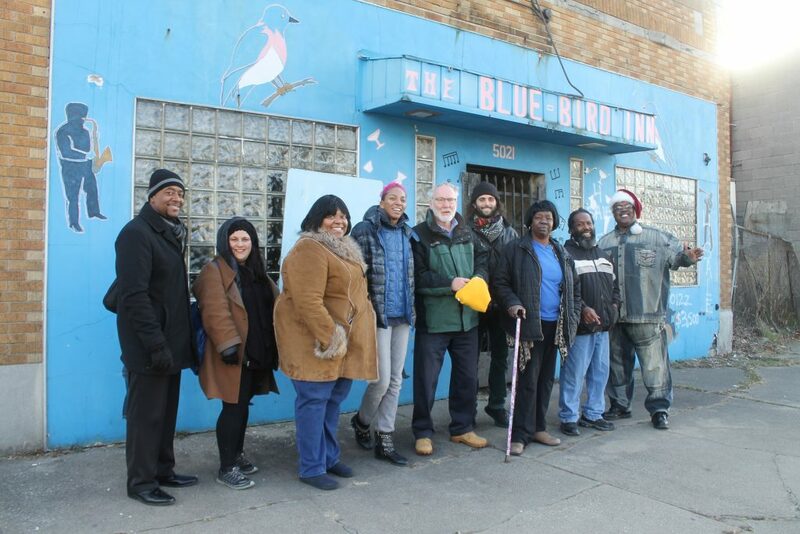 With this grant we will conduct community engagement and initial design for the redevelopment of the Blue Bird Inn, an iconic jazz club on Detroit’s west side, into a neighborhood hub for music performance and community connection. Our hope is that future performances will elevate the legacy of the club, on Tireman near Beechwood, which closed in the early 2000s. You can read more of work with the site and the Blue Bird Stage here. About our supporter: The Kresge Foundation was founded in 1924 to promote human progress. Today, Kresge fulfills that mission by building and strengthening pathways to opportunity for low-income people in America’s cities, seeking to dismantle structural and systemic barriers to equality and justice. Using a full array of grant, loan, and other investment tools, Kresge invests more than $160 million annually to foster economic and social change. For more information visit kresge.org. In February we learned that the Blue Bird was put on a dangerous buildings list in October 2017 and has been slated for demolition. We have notified a number of people in the City of this situation and our working as best we can to complete the purchase of the property so we can actively get the building off that demo list. However, there is little we can do until the Detroit Building Authority gets back to us on our purchase agreement. You can read more about the situation via this article in Crain’s Detroit Business. On February 26th, our purchase agreement was approved unanimously by City Council. We do not yet own the property but this is a big step. On February 21st, our purchase agreement was voted out of P.E.D. (Planning and Economic Development) Committee. On January 3rd, we submitted our purchase agreement and made a deposit on the Blue Bird Inn! We held DetroitSound5 in November. We are excited to announce our new #KIPDetroit community engagement intern Rukiya Colvin. Colvin is a Masters Student in Urban Planning with a focus on community and housing development at Wayne State University. 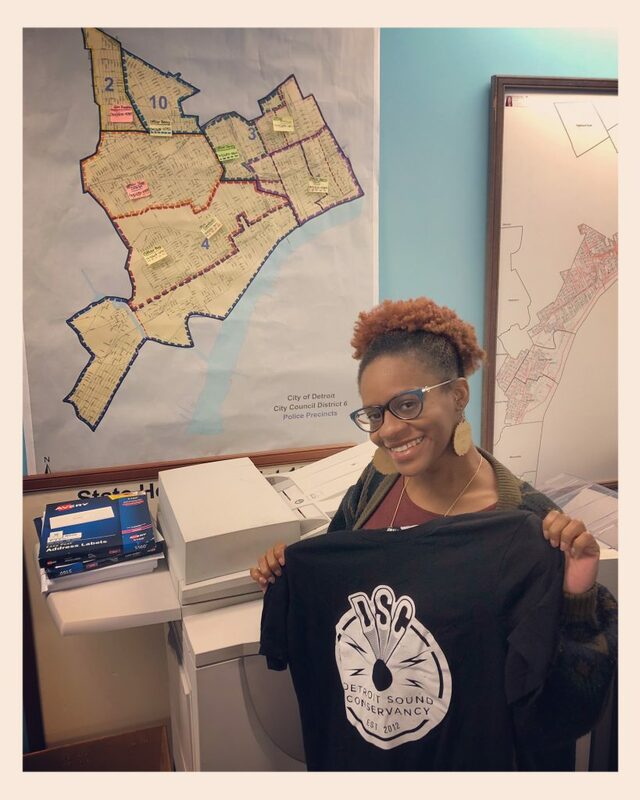 She will be hosted by Detroit City Council Member Raquel Castaneda-Lopez at her office in Detroit District 6 and sponsored by The Kresge Foundation. Among other initiatives, Rukiya will be gathering data for an historical musical asset map of sites within a roughly 2-mile radius of the Blue Bird. As of June 2018, the building at 5021 Tireman has entered building purgatory. It has been foreclosed on and we have put an application in with the Detroit Land Bank, and now we wait. Sometimes people just need to see that a building is empty so that they will leave it alone so we are going to leave this hole for now. The damage has been done. The building is a shell. We will continue to monitor and hope for a speedy process to ownership. In the meantime, we are attending local meetings and engaging our potential future neighbors.